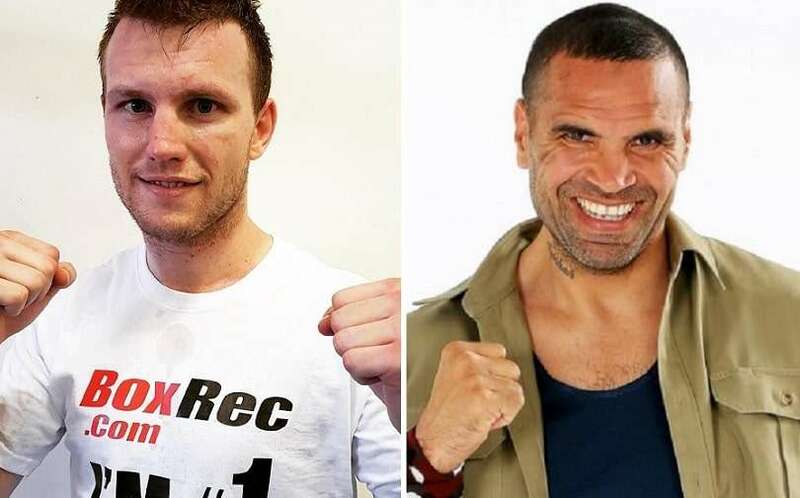 Queensland boxer Jeff Horn has disowned social media posts criticising Anthony Mundine’s views on homosexuality and threatened to dump his promoters for publishing them to his accounts without his permission. The boxer’s promoter Dean Lonergan told the Courier-Mail last weekend they would have gay and transgender people join women in carrying round cards at Horn’s Brisbane fight against Mundine this month, if Mundine agreed to it. “Anthony has said that he’s not into racial or homophobic slurs anymore and my sense is he will be fully supportive of this,” he said. Mundine drew outrage from LGBTIQ and Indigenous advocates earlier this year for a number of extreme anti-gay rants. 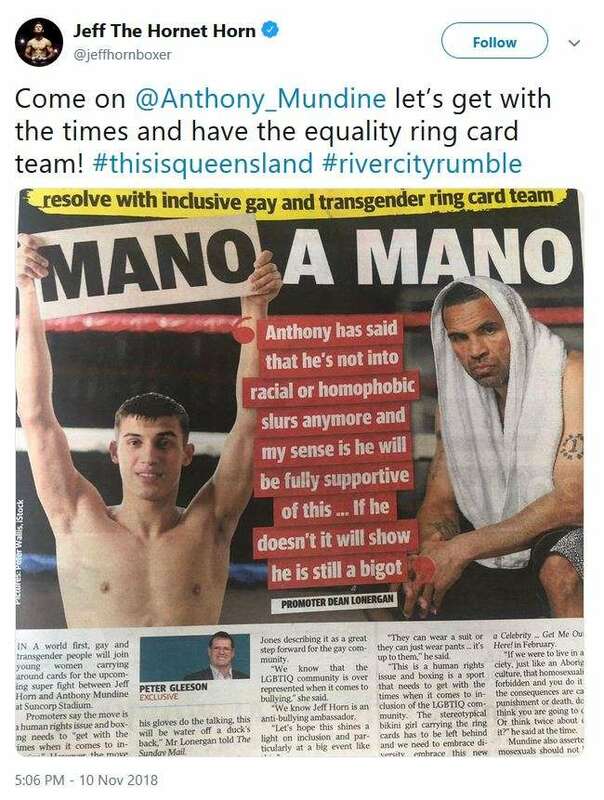 Horn’s promoters posted about the PR stunt to the boxer’s Twitter account on his behalf, but on Wednesday Horn defended Mundine and said he didn’t support using Mundine’s views on homosexuality to promote the fight. “Society is made up of many colours. I support people and their right to choose and hold different opinions,” Horn wrote on Instagram. Horn said on Wednesday, “It’s been pretty frustrating that people have thought that I’ve been saying it, because it’s been coming from my social media account. “I’m not the only one with access to that, my promoters are as well. “The promoters have put these things up making it look like I’ve said them and it is damaging to my reputation. Horn said he “would be tempted to walk away” if his promoters continued making comments on his behalf. But he later backtracked on comments equating homosexuality with pedophilia and suggesting the death penalty would “deter the problem” of homosexuality.